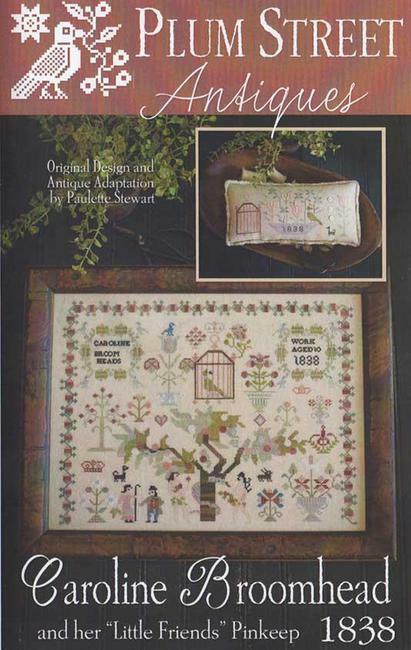 The large sampler was stitched on R&R Reproductions 36ct Ligonier Latte and the pinkeep was stitched on 36ct American Chestnut. Both were stitched using 1 strand of silk over 2 linen threads. Main design: 216 x 168.